To Use On Today's Order Of $25.00 Or More. 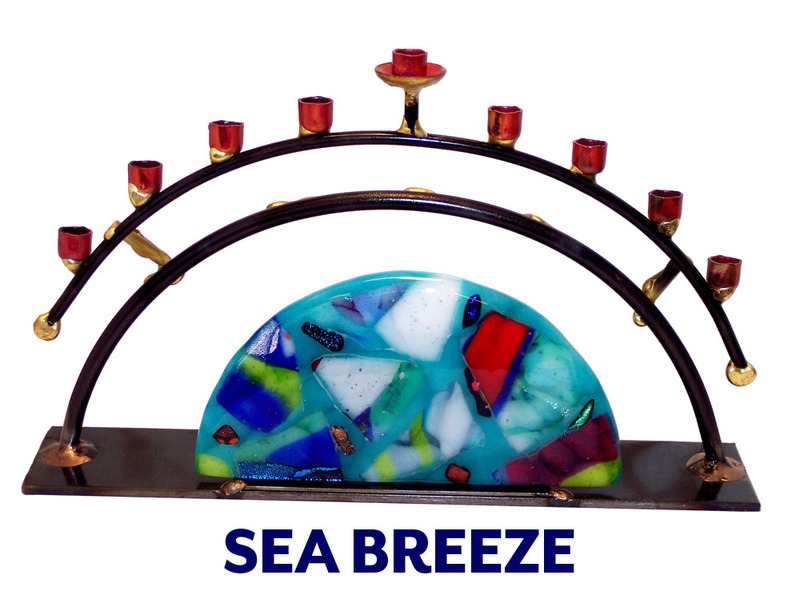 This Gary Rosenthal Menorah Is Handcrafted With Mixed Metals That Creates A Bridge Over A Unique Semi Circle Of Fused Glass. The Menorah Is 7" Tall. 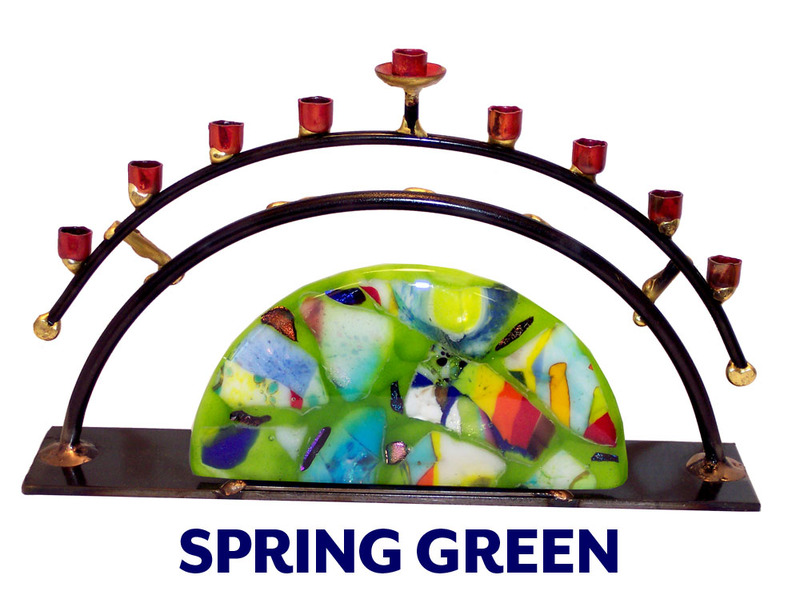 Due To Popular Demand, This Menorah Is Now Available In Special Colors! 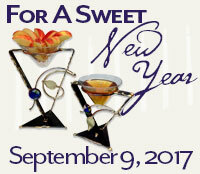 Each Piece Is Hand Made; The Patterns And Colors Of The Glass Will Vary. It was a simple process, finding the products I wanted, having them shipped in a timely manner, and priced competively, I would highly recommend this site, and use it again in the future. 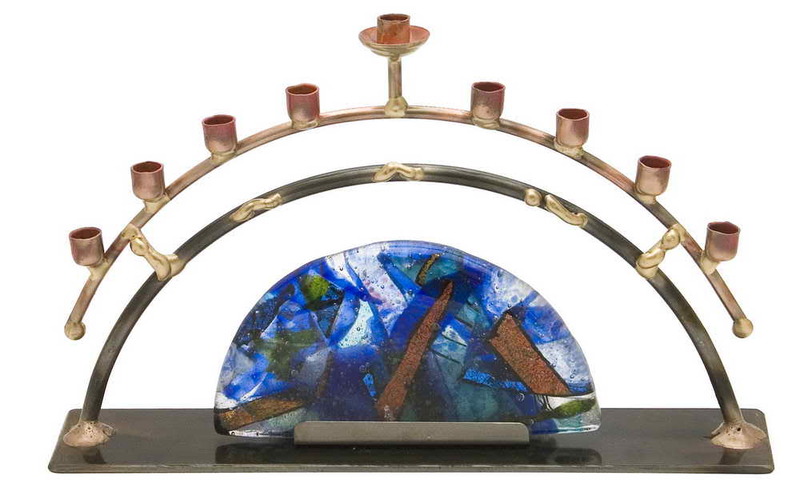 Very nice Menorah. Looks better than the picture. Very pretty and unusual design.